Bath bombs, body scrubs & body butters for the family. Announcement Thank you for shopping. I have a range of products geared towards making my customers happy. Please read the product description or ask if you are unsure about a product or the ingredients. For many products I try to stay as close to natural as possible. Thank you for shopping. I have a range of products geared towards making my customers happy. Please read the product description or ask if you are unsure about a product or the ingredients. For many products I try to stay as close to natural as possible. Great bombs, fizzy fizzy fizzy! Smells so good and free samples too. Thank you! This stuff is what dreams are made of. I want to eat it, roll in it and most of all squish it everywhere. 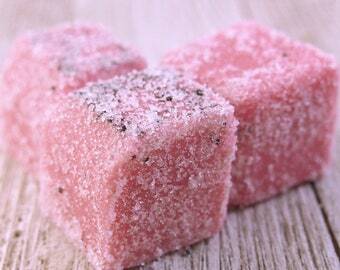 Delicious watermelon scent and super exfoliation. I love Kim's products! This bath bomb evokes a feeling of being at the ocean with the smell of the salty sea spray. A relaxing bath experience awaits. Packaging a pack of six rose bath bombs for a customer. Naturally colored bath bomb. 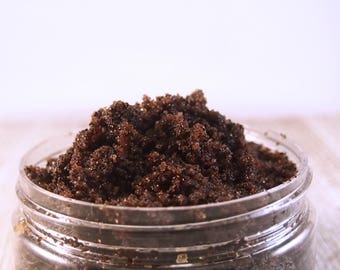 Moisturizing coffee brown sugar scrub. 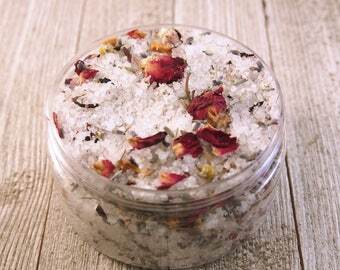 Lavender scented sea salt bath salts with rose petals and lavender buds. Oatmeal fragranced bath bomb with oatmeal and Spa scented bath bomb with dead sea and Himalyan salt. 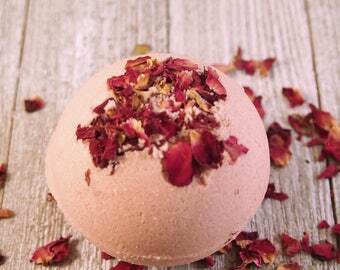 Rose scented with rose petals bath bomb. Exploring my creativity through bath and body products. I started making my own sugar scrubs as I wasn't happy with how oily some others were. 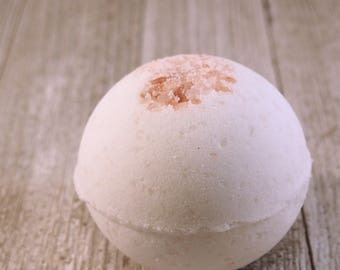 I soon got bitten by the creative bug and started making other bath bombs and lotions. After using it, my husband was in love with what he had used and encouraged me to open this new shop and to selling them. I also operate other Etsy shops, namely : Ackee Tree Clothing, The Funky Print, It's & Bits Supplies and Jamaica Stores. As these products are body products, for hygiene and safety reasons I cannot refund or exchange the products. WHAT IF PRODUCTS ARE DAMAGED? STILL NO REFUNDS? While I wrap carefully accidents may occur. Simply contact me within 2 days of delivery and provide pictures of the damage and of the packaging as well. I will need these pictures to begin any resolution such as replacing your product. WHY ARE THERE PRESERVATIVES IN SOME PRODUCTS. I LIKE ALL NATURAL. While I would love to make all my products all natural, it is simply not safe and advisable especially when its not a single use item. Unfortunately mold and bacteria can be growing in products like sugar scrubs and lotions which may compromise your health. As such, I try to use paraben free preservatives to keep your products safe and free of any contaminants. WHAT IS POLYSORBATE AND WHY DO YOU ADD IT TO MY PRODUCTS? Polysorbate is found both in foods and bath products. Without the polysorbate in some of your bath products, oil would simply pool together (such as using a bath bomb) and leave a create oil slick in your bath tub. Ploysorbate helps the oil to disperse in the water and give your skin more benefits. Some products have no coloring and for those that do , you may read the ingredient list or ask about the colors that are used. I use only skin safe FDA approved colors which means no food coloring. Rather I primarily use natural or synthetic Micas and to a lesser extent FD&C dyes. WHY CAN'T YOU SAY WHAT YOUR ITEMS CAN CURE? Many of my products may have great benefits but I cannot as per FDA requirements make any claims that my products can heal or treat any ailments even if they do. Please read the ingredient list to see all the beneficial ingredients in your item to help you make a decision. Do Your Product Contain Nuts? 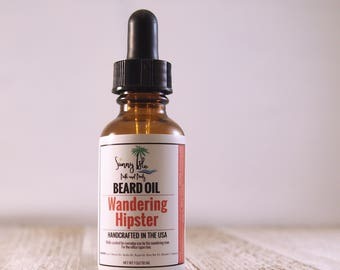 My products are made in an environment that may have nuts or nut oils. Please read the ingredient list on the listings as not all products contain nut oils.